Two balls one in each hand. Two players one on either side of the Board. Player one throws with their right hand a catches the rebound in their right hand. Player one throws with their left hand a catches the rebound in their left hand. 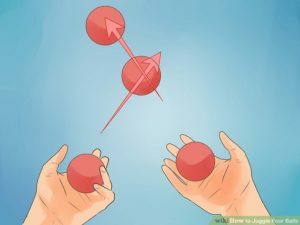 This is the tricky bit now, player one has to throw the ball in their right hand to their left hand and throw the ball in their left hand into their right hand. The skill is to not drop the balls. The throws have to be at the same time. Next player two on the other side of the Board follows and does the same skills. It is really up to the players how the game flows. Maybe have turns and next time same as above but this time two Right hand throws and catches and two left hand throws and catches. THEN THE SWITCH OF BALLS, NOTE THIS IS WHAT IT WILL LOOK LIKE. Two right hand throws and catches, two left hand throws and catches. BUT WITH THE SWITCH DO IT TWICE. So right ball into left hand and left hand ball into right hand. Switches. But do it twice. As I said up to you how the activity flows, maybe if you drop the switch you go back to one throw and catch number in throws, or maybe just the next number of throws down. ie three throws down to two for you next turn. Maybe choose a number at the start for a long fun game.